﻿ If there was ever a band who embodied the ethos of low risk, high reward, it would be the Foo Fighters. That can be pretty exasperating too, especially since they’re unquestionably one of the biggest acts on the planet who’ve reached a stage of immovability that they’ve really got no reason not to try and broaden their horizons. Just look at Sonic Highways in 2014, an album that was marketed as the band’s American road trip to take in the sounds of iconic musical locations for themselves, and while that did ultimately materialise in their utterly fantastic documentary series of the same name, the album was little more than a regular Foo Fighters album at the end of the day. That’s not necessarily a bad thing, and the album itself did turn out as another quality release, but considering Dave Grohl’s friendship with Josh Homme and the regular experimentation he employs with Queens Of The Stone Age, you would hope that some of those impulses would rub off on subsequent Foo Fighters releases. And to be fair, on Concrete And Gold, they’re so close to actually getting there. The collaborative aspect may have been a keystone feature of Sonic Highways, but they were generally acts with some connective tissue to the Foo Fighters themselves; here, Paul McCartney might be a returning face to Grohl’s entourage, but with Justin Timberlake, Boyz II Men’s Shawn Stockman and production overseen by Adele and Sia collaborator Greg Kurstin, Concrete And Gold wants to be an album that gets people talking so badly. But despite all that, and despite being burdened with such comparisons as “Motörhead’s version of Sgt. Pepper” from day one, Concrete And Gold is just another Foo Fighters album, and a flabby one at that, part flavourless radio-rock, part arthritic classic rock throwbacks and with only a fraction of the drive needed to pull off something with a chance of working. Those moments are really the only thing stopping Concrete And Gold from being a total drag, too; the verses of Run pick up some decent ferocity and pace befitting of its title, and for as much of a rehash of the White Limo formula as it is, the blown-out garage rock of La Dee Da is easily the most balls-to-the-wall that the Foo Fighters are willing to go at this point. It’s not even about what’s the most raw that stands out, just when there’s a few more interesting uses of melody, and thus on the full-throated stomp of The Sky Is A Neighborhood or the dusty Eagles homage of Sunday Rain that features some fantastically expressive lead vocals from drummer Taylor Hawkins, the Foo Fighters offer something a bit more substantial that, naturally, does pay off. But beyond that, Concrete And Gold does little more than limp its way across a series of lumpen, clunky tracks drawing on an even more dated well of classic rock than usual. Looking past a production job that’s as boring and uninspiring as they come, tracks like Make It Right and The Line have their sights set on the legacy of The Rolling Stones or Queen, but (especially in the case of the former) botch any chances with the sort of half-hearted snoozers that almost fit into place, but lack the spark or colour to make anything from them. It’s the first time the Foo Fighters have ever sounded this old to this extent, not helped by the number of times this album slows down. This is a ploddy album as it is, and that’s not helped by how utterly pedestrian so much of it sounds, from the ’60s folk-pop of Happy Ever After (Zero Hour) that’s about as interesting as a beige wall, to the extended buildup of Dirty Water that outstays its welcome in spectacular fashion, to the closing title track which has an admittedly decent doomy riff, but is overlaid with Grohl sounding listless and exhausted, something that appears disappointingly often across this album. And because of that, it’s not even as if Concrete And Gold can meet the quota of singles that a Foo Fighters album is mainly, if not totally reliant on. Nothing really sticks out in terms of a prominent chorus or riff that’ll justify their size, and for the band who wrote Everlong and Best Of You, two of the best straight-up rock songs of all time, that’s more than a bit depressing. Run at least has the stadium-pleasing vibe that’ll see it last in the setlist for a bit longer if it’s lucky, but it’s quite shocking how much filler and empty calories Concrete And Gold has, almost to the point where this could realistically be the Foo Fighters’ worst album to date, and for a band who’ve always counted on their singles to do the heavy lifting, that speaks volumes for how below par this album falls. But then again, none of that really matters anyway. The Foo Fighters’ success has long ago stopped depending on the quality of their output, and Concrete And Gold will be no different; they’ll continue to sell out stadiums and headline festivals regardless of how this album is received. But for a band so heavily ingrained in not just modern rock, but music as a whole, to see them drift this far into complacency, and to such a degree as this really begs the question of where the Foo Fighters will go after this, whether that’ll be making some sort of creative resurgence a bit further down the line or continue down the way of the stagnating classic rock bands they idolise and get by on inertia alone. Concrete And Gold doesn’t offer much hope for the future, and though it’s not the worst album to be released this year, it’s easily one of the most pointless, and for a band the size of the Foo Fighters, it’s hard to tell what’s a more damning indictment. 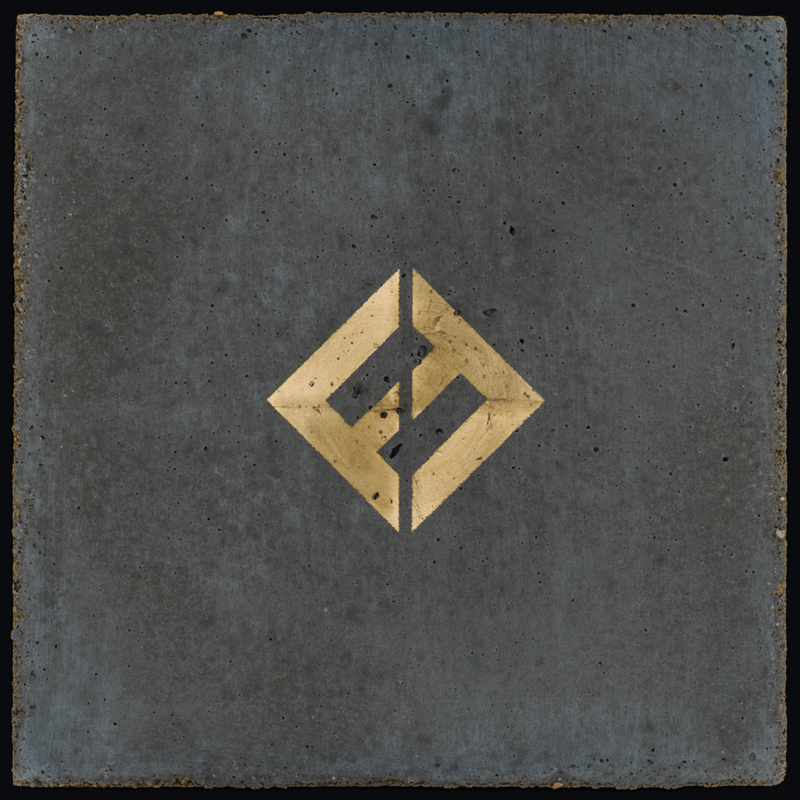 ‘Concrete And Gold’ by Foo Fighters is out now on RCA / Roswell Records. Couldn’t agree more with you. I said in my review that I can’t help but see this as a bit of a ticket seller and cash grab. Bringing in big guest names like McCartney but then not utilising them at all makes it feel like names they could tack on to the album to garner more sales. Pretty disappointing and they are from what they were 15 years ago. It’s a shame because those first few albums were knockouts.